Home » Honda HR-V » What are the Technology & Safety Features for the 2019 Honda HR-V? Does the 2019 Honda HR-V Have Apple CarPlay™ & Android Auto™? The 2019 Honda HR-V has five trim level options and the top four trim levels of the HR-V get equipped with standard Apple CarPlay™ & Android Auto™. Android Auto™ and Apple CarPlay™ make it easy to connect your smartphone to the color touchscreen display of the 2019 Honda HR-V. These connectivity systems keep important navigation, messaging, and even your favorite playlist always within arm’s reach. 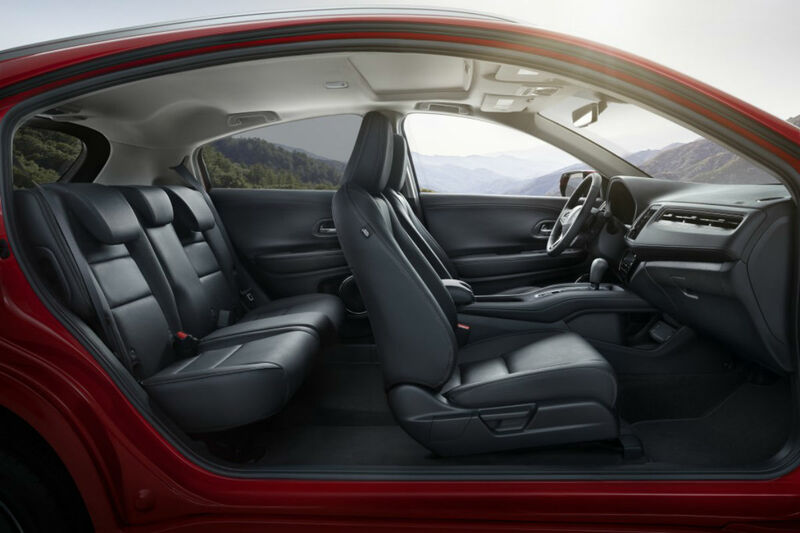 You can find out more about the standard and available technology and safety features of the 2019 Honda HR-V right here below and the 2019 HR-V is waiting for you at Van’s Honda in Green Bay, WI right now today. The five trim levels for the 2019 Honda HR-V are the LX, Sport, EX, EX-L, and Touring. 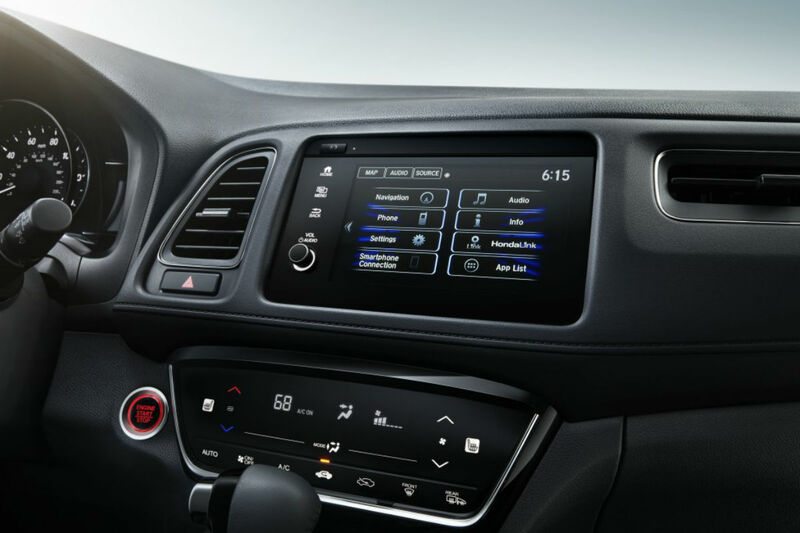 Standard technology features of the 2019 HR-V LX trim level include a 5” LCD Screen, a 160-Watt 4-Speaker Stereo, Bluetooth® Connectivity, Speed-Sensitive Volume Compensation, and a 1.0-Amp USB Audio Interface. 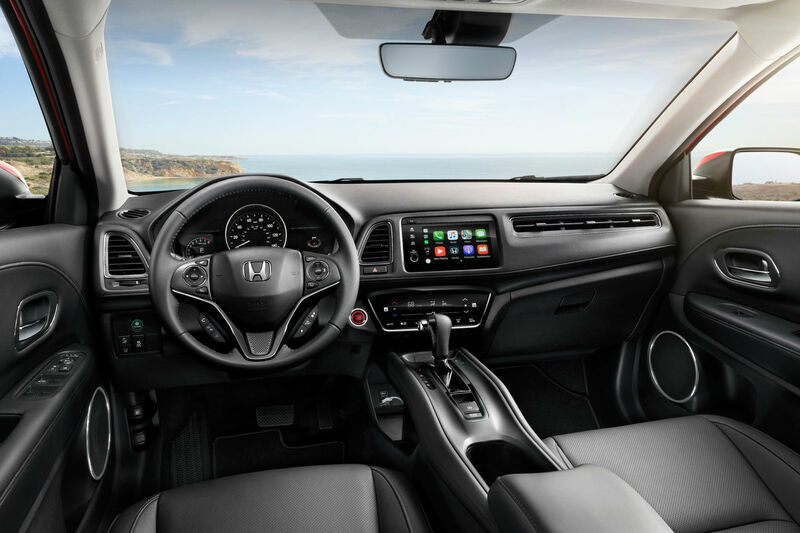 Upgrade past the base trim level and the 2019 Honda HR-V gets equipped with Apple CarPlay™ & Android Auto, a 7” High-Resolution Touchscreen w/ Customizable Settings, a 180-Watt 6-Speaker Stereo, and a 1.5-Amp USB Smartphone/ Audio Interface. The EX, EX-L, and Touring trim levels also add HD Radio™ and SiriusXM® Radio and the top trim level, the Touring, receives the Honda Satellite-Linked Navigation System™ with Voice recognition and Honda HD Digital Traffic. Standard safety systems found within the 2019 Honda HR-V include an Anti-Lock Brake System with Electronic Brake Force Distribution and Brake Assist, an Advanced Airbag System, LED Daytime Running Lights, and a Multi-Angle Rearview Camera with Guidelines. Forward Collision Warning, Lane Departure Warning, a Collision Mitigation Braking System™, and a Road Departure Mitigation System all come as standard safety equipment on the 2019 Honda HR-V EX, EX-L, and Touring trim levels. What are the Performance & Efficiency Specs for the 20109 Honda HR-V? You can take the 2019 Honda HR-V for a test drive today at Van’s Honda to try out all of its standard and available technology features for yourself. We can also help simplify the Honda HR-V buying process thanks to our online finance tools that provide a trade-in estimator as well as an online credit application. Does the 2019 Honda CR-V Get Android Auto™ & Apple CarPlay™? How Can I Sync My Smartphone to the 2019 Honda Civic Sedan? Is My Vehicle Ready for the Hazards of Winter Driving? What are the Fuel Efficiency Specs for the 2019 Honda HR-V? This entry was posted on Thursday, January 10th, 2019 at 11:38 pm	and is filed under Honda HR-V, Safety, Technology. You can follow any responses to this entry through the RSS 2.0 feed. You can skip to the end and leave a response. Pinging is currently not allowed.